The course AB-204 run by Øystein Varpe at the University Centre in Svalbard deals with how the Arctic environment shapes ecological processes and evolutionary adaptations. Behavioural ecology, life history adaptations, population dynamics and species interactions are dealt with. During fall 2016, 4 groups of students enrolled in AB-204 participated to Teach to Learn (TE2LE), a bioCEED project aiming to teach BSc and MSc students in biology cross-disciplinary transferable skills through the application of an innovative pedagogical practice. These students created 4 video tutorials to teach their peers how to use the software R for handling data from field studies. This was done in collaboration with Matteo Petit Bon, responsible for teaching the basics in statistics and the use of R. Below are the 4 tutorials. 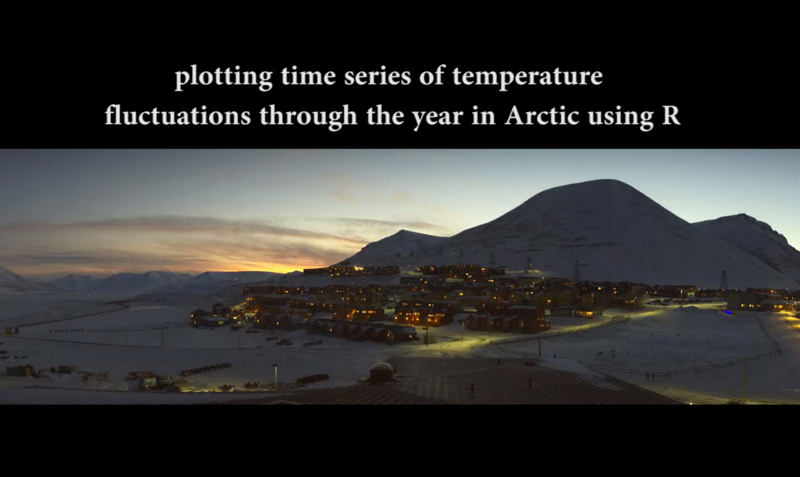 Plotting time series of temperature fluctuations through the year in Arctic using R.
Is a sample representative of a total count? 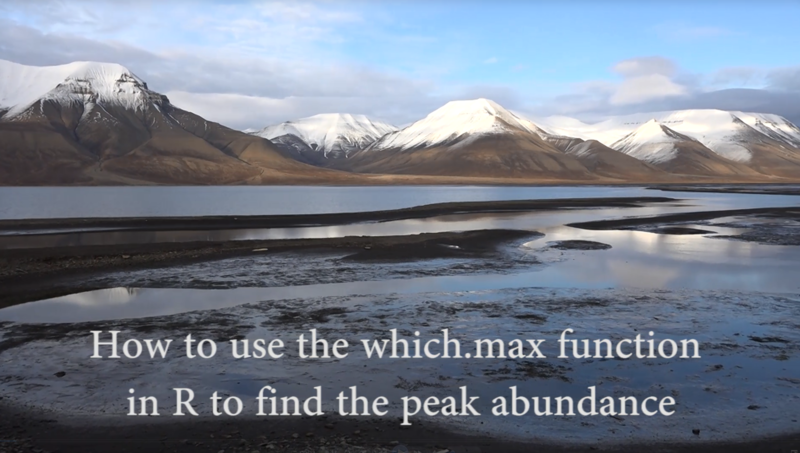 How to use the which.max function in R to find the peak abundance? How to find population peaks in R – a visual representation.